Make Life easier with one of these kitchen tips. We are all busy with jobs and families. 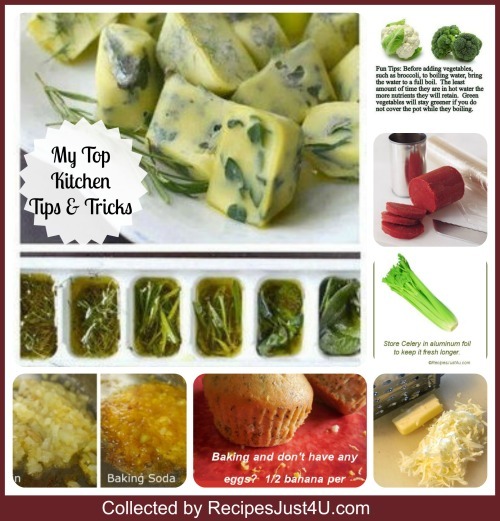 So, it is great to have an arsenal of kitchen tips that can make work in the kitchen go more smoothly. Some of these are cooking tips and others are simple ways to use commonly found kitchen ingredients. Here is a collection of some of my favorite time savers and money savers too, in many cases. If you are baking muffins or cookies and run out of eggs, you could run to your neighbor and ask to borrow. 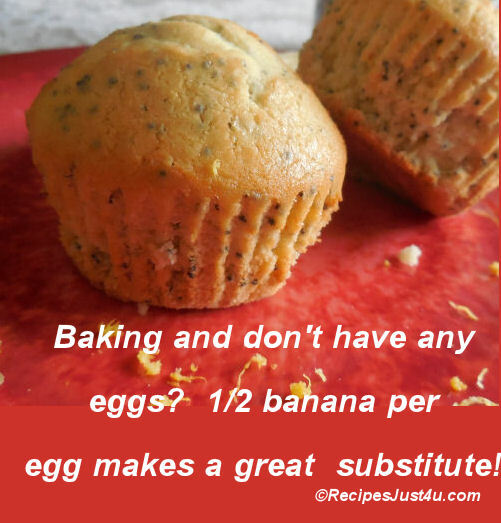 Better yet, just substitute 1/2 banana per egg for a good result. 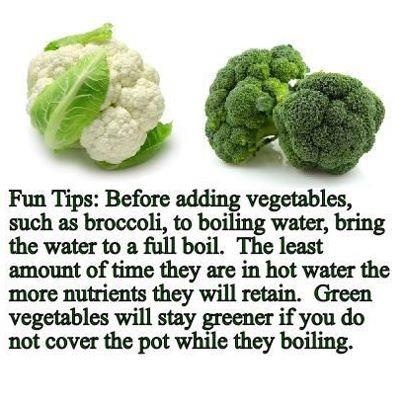 Bring the water to a boil before adding vegetables. They will retain nutrients better. Idea shared from Spice World. 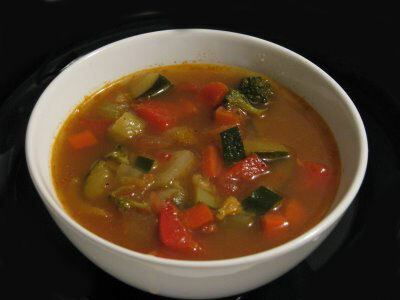 To make the perfect vegetable soup, always start with diced carrots, onions, peppers and tomatoes. Saute these in oil or butter before you add any liquid. This process brings out the taste and caramelizes the sugars – making for the perfect soup. 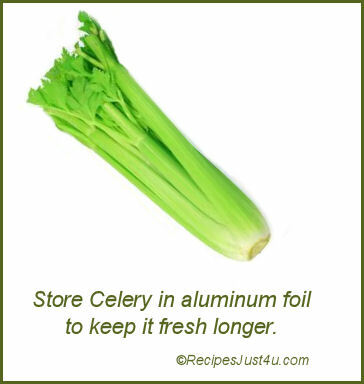 Wrap your celery in aluminum foil to keep it fresh much longer. The reason for this tip is that the al foil allows the ripening hormone ethylene to escape . By contrast, a plastic bag or saran wrap traps the ethylene gas, and accelerates moisture loss and spoilage. 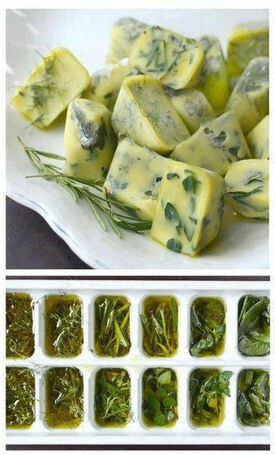 The Gardening cook suggests freezing fresh herbs in olive oil. This gives you just the right amount of seasoning later at cooking time. Shared from The Gardening Cook. Tomato Paste Saver: Most recipes call for only a small portion of tomato paste — but if you only use a tablespoon or two,, the rest invariably goes to waste. To save the remainder of the can: Carefully open both ends of the can with a can opener. Remove one metal end, and discard it. Leave the other metal lid in place. 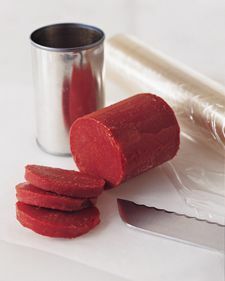 Wrap the whole can of tomato paste in plastic wrap, and freeze overnight. The next day, use the reserved metal end to push the frozen paste out the open end. Discard can, tightly re-wrap unused portion, and store in freezer up to 3 month. Now you can slice off just as much as you need each time you cook. Shared from Martha Stewart. Peeling an orange could not be easier! 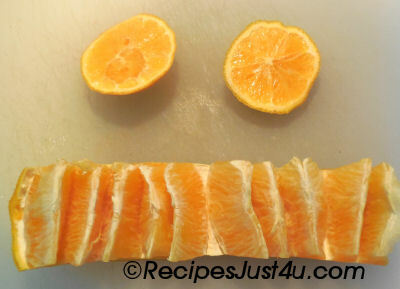 Just slice off the top and bottom of an orange and make a thin slit on one side. Carefully open the orange up to reveal the segments all ready to enjoy. This one took me no more than 10 seconds to do. Bigger oranges, just be sure to cut enough off the top and bottom or it will be harder to open up. NEW BAKING TRICK: When you need softened butter, instead of taking the time to wait for it to soften – grate the butter while it is still hard. When you mix it with other ingredients it will soften quickly and perfectly and the butter will be evenly mixed throughout your dough. 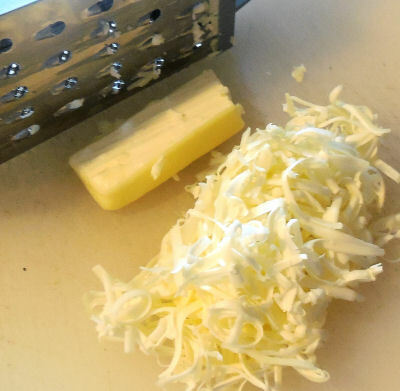 It takes just a few seconds to grate a whole stick of butter straight from the fridge! 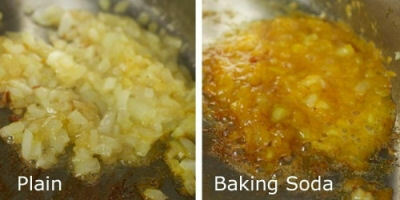 If you add a bit of baking soda to your onions when you cook them, it caramalizes them in half the time! Idea shared from Wonder How to.